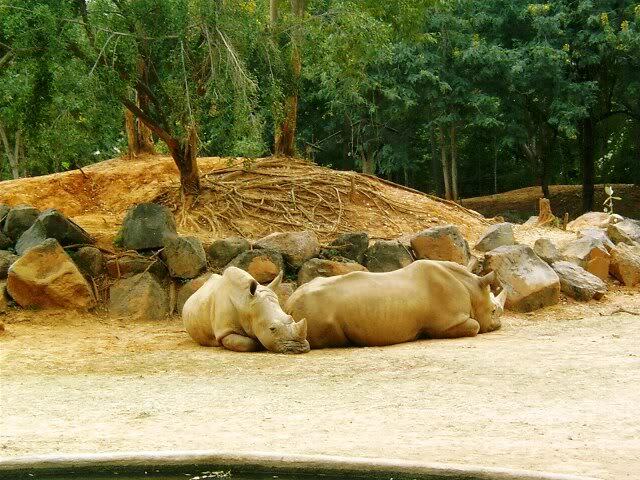 Not be missed should the Korat Zoo, especially if you're traveling with children. Located 13 km from the city and covering 545 rai it is home to many wild animals such as tigers, giraffes, lions, elephants, zebras, rhinoceros, hedgehogs, Lesser Adjutants, ostriches, flamingos and many more. It's grounds also plays host to a small park for the visitors' leisure enjoyment with nature. Visitors can take guided tours of this wonderful zoo by several means, including the safe and comfortable mini-train, riding bicycles, on foot along the shady walk ways. The stars of the zoo are the Big Five of Africa, African elephants, lions, white rhinoceroses, African buffaloes and leopards - panther. Dinosaur park in the area covering 4 rai with Jurassic landscape will thrill and educate you at the same time. One can witness the lives of barking deer, deer and hog deer when they come out to look for food from dusk till dawn.